So, for the past few days, I have been making stones-in-jackets :). These can be used either just as decorations, or as paperweights. 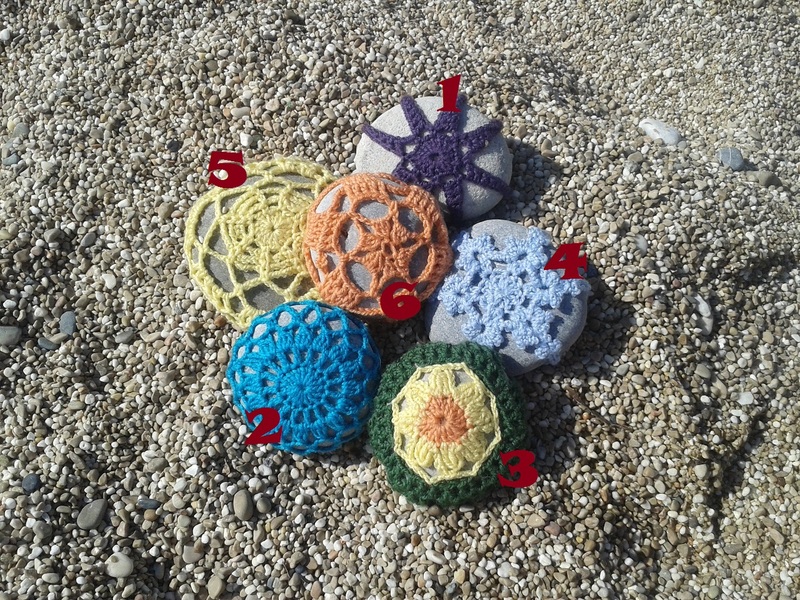 Below are the link to individual posts with patterns for each stone. These patterns are written up in somewhat abridged style (US terminology), as I’m kind of short on time. Please do not hesitate to contact me if you have any questions! Separator image Posted in Crochet Patterns, My kniting & crochet and tagged with crochet, crochet pattern, crocheted stone jacket, free crochet pattern, paper weight, quick crochet gift, quick gift, stone.